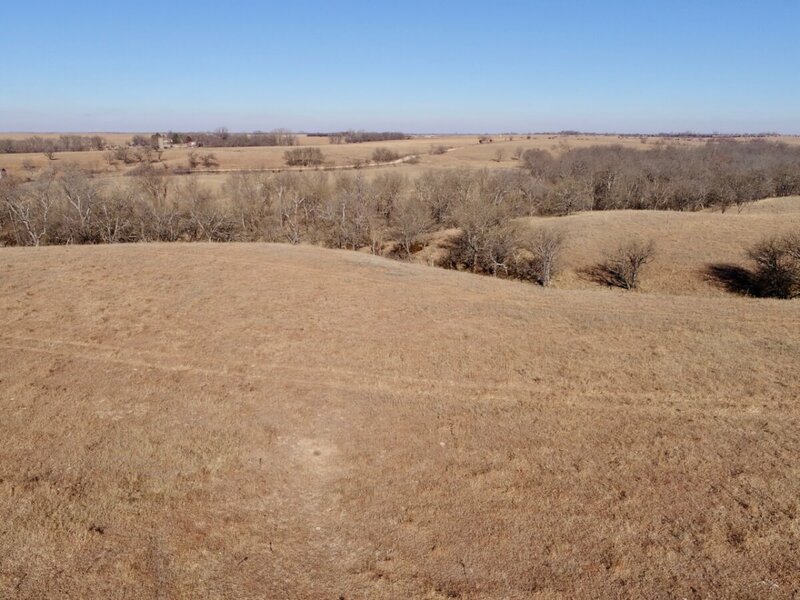 PROPERTY DESCRIPTION: 246+- acres of mostly native Flint Hills pasture, spring fed Eagle Creek, timber, and 10+- acres of Alfalfa. This diverse property offers excellent summer or winter livestock grazing pasture. There are 2 ponds on the property, one of them is over 3 acres big. Fences are above average. Access is excellent, just 1/2 mile from blacktop HWY 400. Mineral rights are intact and transfer with the property. LEGAL DESCRIPTION: The Southwest Quarter AND the South Half of the Southeast Quarter of Section 32, in Township 27 South, Range 7 East of the 6th P.M. AND That part of the East Half of the Southeast Quarter of Section 31, Township 27 South, Range 7 East of the 6th P.M., lying East of Munson Hill Road, ALL IN in Butler County, Kansas. 2017 REAL ESTATE TAXES: $692.38. LAND LOCATION: From Leon Kansas, 5 Miles East on HWY 400 to Munson Hill Rd, 1/2 Mile South.